“As America grapples with a crisis of children on its southern border, another image from another time seems inescapable: that ship full of Jewish refugees off our shores as World War II approached. You might have seen the story portrayed in the Holocaust Museum in Washington. It unfolded in 1939 as Jewish families fleeing from Germany took passage to Cuba on a German liner, the St. Louis. While underway, Cuba decided to deny them entry so they turned toward America, desperately hoping the United States would show them compassion. But the U.S. political climate had turned hostile toward the growing number of European Jewish immigrants. On June 6, 1939, their ship hovered off the coast of Miami Beach — only to learn that the U.S. government refused them entry. Losing hope, the St. Louis turned back to Europe and there, in the months and years that followed, over a third of its passengers perished at Nazi hands. America has had many noble moments, but that was a moment of shame that left an indelible stain. Seventy-five years later, we are faced with a new group of desperate people hovering in our midst — this time children from Central America escaping escalating levels of violence few of us can fathom. While certainly no Nazi Germany, the growing humanitarian crisis in their home countries is glaring as rising murder rates for youths are a driving force behind the mass exodus. How will we respond this time? Just as with the Jewish refugees on the St. Louis, this influx is not primarily a story of immigrants traveling to America to seek opportunity and prosperity. This is a story of three countries so plagued by gang violence, chaos and poverty that a family would rather pay a “coyote” 18 months of income to take their 14-year-old daughter on a life-threatening 45-day, 2,000-mile journey than have her risk her life at home. This is a story of three countries with levels of violence comparable to a war zone. Honduras suffers from the highest murder rate in the world, and El Salvador and Guatemala are in the top five. In fact, a civilian is twice as likely to be killed in these three countries as in Iraq during the height of the war. It’s the kids who are most at risk in this story. Boys are recruited into gangs sometimes before they hit their teenage years. Girls are forced into nonconsensual relationships with gang members where they are raped, abused and sometimes “disposed” of afterward. And any defiance invites violent retaliation and, often, death. My friend Ana Svoboda shared the following stats on Facebook. Friends we all know that education makes a big difference in people´s lives. Part of the answer to the humanitarian crisis of this generation is education. We all can help solve these problems not with some short term fix but something that will make a difference for the long term. I saw the request for over 3 billion dollars that president Obama made to congress and I could not help but think, what a difference that money would make and how quickly this problem would be solved if it was invested in improving the lives of these kids back home. I do not advocate giving money to the Honduran government; money given to this government rarely gets to the people that need it the most. 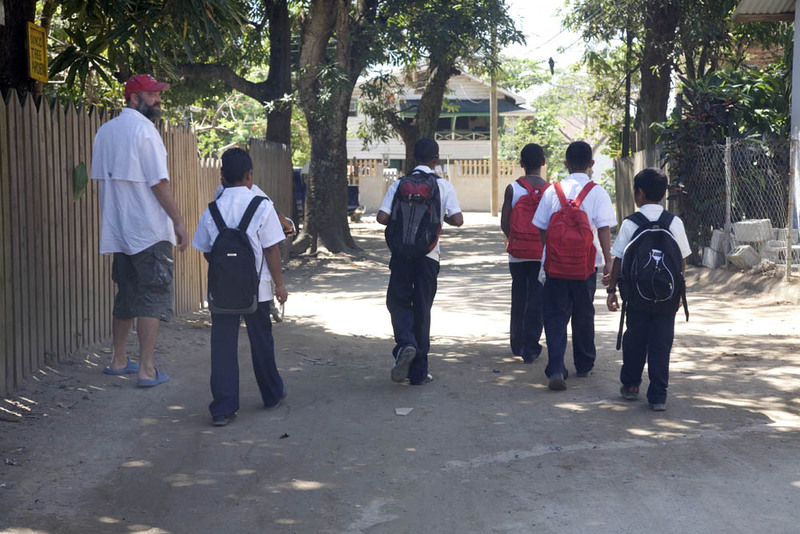 There are organizations such as Sol Foundation, Students Helping Honduras, and Little friends Foundation that are making a huge difference in the life of Honduran kids every day. 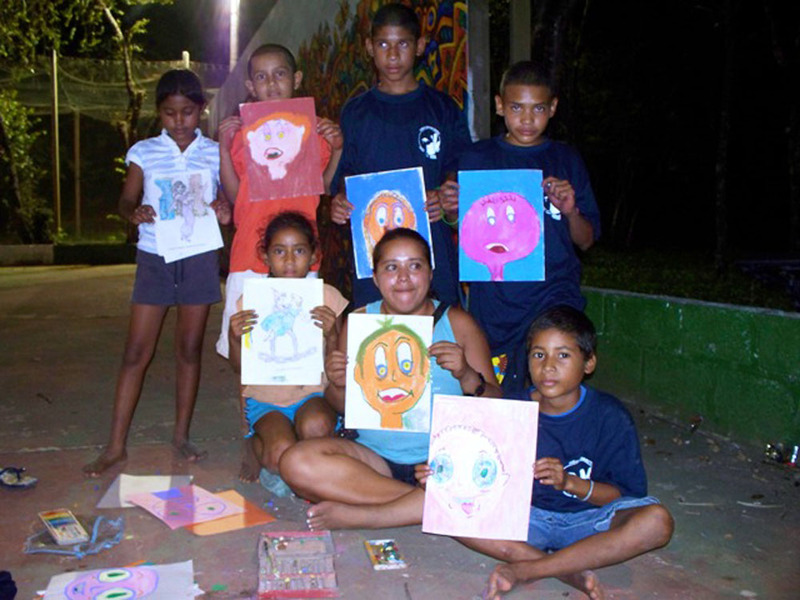 SOL foundation provides scholarship and after school activities for kids that help keep them away from the gangs and building a better future for themselves. I am one of SOL scholarship recipients and I must say that SOL has given me a reason to hope that I can have a good life right here in my country helping and serving people in my community as a doctor, and they are doing the same for many other kids. You say well what does this have to do with immigration? Well I will never head for the border, my kids will never head for the border, and many more people affected by my success will never head for the border. A dollar sent to an organization such as SOL will make more of a difference in this humanitarian crisis than hundreds of dollar on border police or thousands given to the Honduran government. So I make a call to all my american friends if this crisis concerns you and you would like to help make a difference go on over to SOL´s website and chip in to help them continue to do the work they are doing. You can make a huge difference today, long term difference, just by donating a few dollars. A donation of any amount will help the guys at SOL continue to offer hope and a better future to children who most need it in Honduras. Or just go over to their website and read about what they are doing, share it with a friend, or find out other ways that you can help.